HIPAA and HITECH security protocol demands healthcare organizations make every reasonable effort to safeguard protected health information (PHI). Without adequate hardware and software to protect network perimeter edges and guard against internal threats, pharmaceutical companies cannot have confidence that their data is safe. Fortunately, best-in-class security firms are continuously working to develop more sophisticated engines that identify and isolate potential risks faster. Tech firms are diligently working to help industries and organizations, charged with protecting the most sensitive information from unauthorized viewing and, finding advanced solutions to their most challenging problems. One of those solutions is cloud fax technology. Traditional fax machines — those that rely on paper, ink and toner to send and receive documents — do not easily meet rigorous regulatory standards when it comes to keeping patient information confidential. Cloud faxing supported by pin-based access replaces paper-based document sharing with digital processes capable of preventing unintentional exposure resulting from faxing to incorrect phone numbers, delivering printed documents to the wrong person or department, and curious seekers checking to see if a fax is for them when the machine is kept in a central location for easy access. Along with unintentional exposure, visual hacking should be a concern for any organization with a fax machine located in an area where outside vendors, patients or visitors could view fax documents or screen data. Visual hacking presents particularly difficult challenges for healthcare organizations, because almost every consumer-patient encounter contains sensitive information that unscrupulous hackers value. Understanding the myriad advantages of implementing cloud fax solutions in the pharmaceutical industry is essential for exploiting the technology to its full potential. Read below to learn about some benefits and applications of this valuable resource for physicians, dispensing agencies and labs. Traditional fax protocol is labor intensive. Staff members print, sort, distribute, file and archive records. Most organizations using legacy fax machines employ at least one person responsible for daily administration and oversight. Cloud fax technology enables organizations to route incoming documents to individuals or shared mailboxes accessible only by authorized users. Automated archiving allows rapid indexing, cataloging and retrieval based on keywords or phrases. Digital fax protocol creates a searchable, secure tracking mechanism for all activity. When used in conjunction with electronic health record (EHR) software, data storage warehouses and dashboards, pharmaceutical companies can transmit images, text and spreadsheets within an encrypted, secure environment that facilitates efficient organizational workflow patterns. Traditional fax machines are only “working” when the office is open and staffed. Cloud faxing erases geographical boundaries while enabling conversations and data sharing via smartphones, iPads and tablets around the clock. According to a recent Pew Research Center survey, approximately 1 in 5 people report being online “almost constantly,” and 4 in 10 go online numerous times each day. Survey results demonstrate that mobility is a major contributing factor to the "always-on" behavior. Those working in the pharmaceutical sector understand how the Internet influences the way we do business. It is now the norm for pharmaceutical science professionals to use the Web to share research developments, consult with peers and colleagues, connect with professional groups, and stay abreast of regulatory guidelines. Web-based fax empowers research and service delivery to continue 24-hours a day, every day of the year, without regard for office hours staff availability or location. Some vendors estimate transitioning to a paperless fax solution can save businesses up to 80 percent compared to businesses using traditional fax machines. Fewer dollars invested in administrating document management and purchasing supplies enables pharmaceutical companies to allocate their financial and human capital resources more effectively, reducing operating expense and improving profit margins. Scalable technology allows organizations to grow without significantly restructuring their document management policies and procedures, or investing in additional hardware and software. As EHR adoption expands and meaningful use moves closer to the next stages, the cloud gains prominence in healthcare delivery. Manufacturing houses utilize cloud fax solutions that allow clients to place and track orders, manage automated inventory replenishment and confirm order receipt. 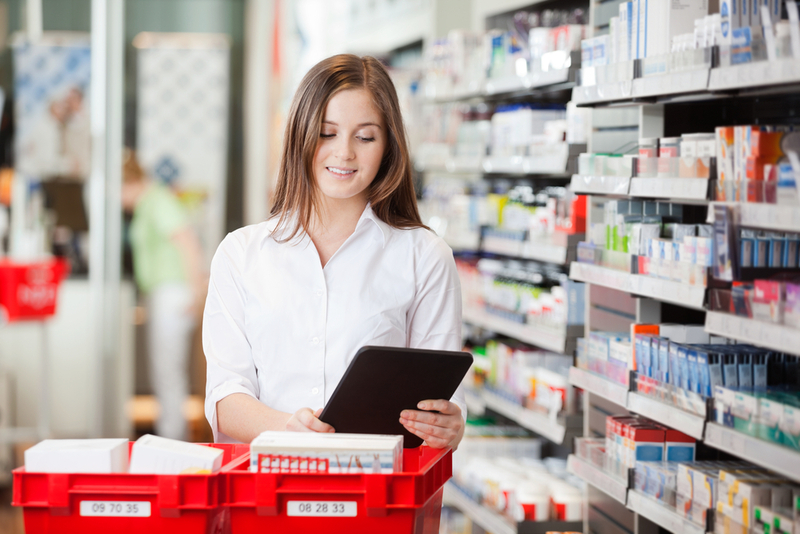 Dispensing agencies receive electronic prescriptions directly through EHRs. Physicians fax reports to research and development institutions to document patient population outcomes and adverse drug events. All these activities work together to further the journey toward improving the industry and patient experiences. The fax machine has served the medical industry well over the past 50 years, but it is time to gradually retire legacy machines. It is possible to protect PHI using a standard fax machine with rigorous standards and heightened oversight. However, it is impossible to completely eliminate risks associated with human error. Digital data sharing and cloud-based document management solutions, including cloud fax technology, promise to dramatically reduce exposure risks, strengthen enterprise security, and boost productivity for pharmaceutical companies. As U.S. Chief Operating Officer at Esker (http://www.esker.com/) , Steve Smith is responsible for all operations in North, South, and Central America. Esker is a global leader in business process automation, helping organizations around the world automate their manual business processes. Through Esker’s variety of software packages, businesses are able to increase their workflow and productivity.